CHAUVET® DJ, a leading manufacturer of LED lighting, announces the release of Eclipse™ RGB and Scorpion™ Storm FXGB — two boldly colored and feature-packed lasers perfect for club installations and mobile performers. 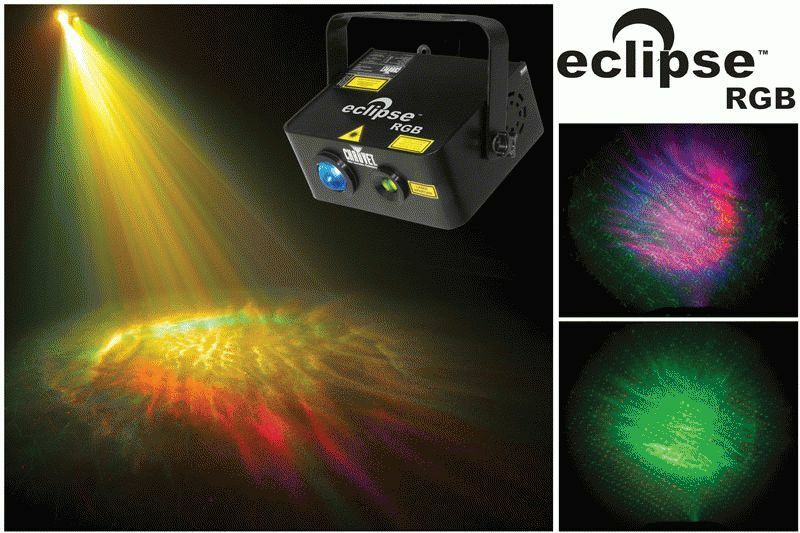 Eclipse™ RGB combines LED illumination with laser technology to create a unique, night-sky effect. Red and green lasers create a mesmerizing star field as a tri-colored LED generates a background of rippling aura effects. 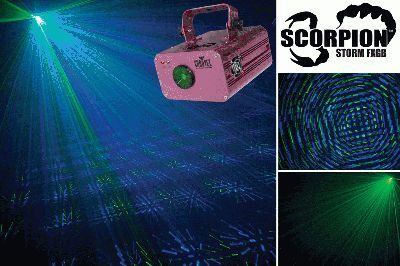 Separate LED and laser control allow you to change the mood of any event from calm and relaxing to upbeat and exciting. Fully controllable and dimmable LED illumination allows you to customize the background. 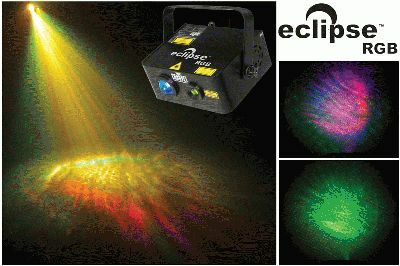 Eclipse™ RGB features multiple control options including DMX, stand-alone or master/slave mode. Weighing less than six pounds, Scorpion™ Storm FXGB is a compact effect laser that projects hundreds of blue and green beams in a variety of patterns. Mount it to truss or position it on a stand and let the animated laser effects flood the room. Independent control of green and blue laser diodes allow for true customization while a controllable, high-speed motor vibrates and increases the number of effects. DMX capability and selection of built-in automatic and sound-activated programs enhance the ability to use this fixture for a variety of events. Both lasers are ready to use right out of the box. The on-board power linking system saves time running cables and extension cords.